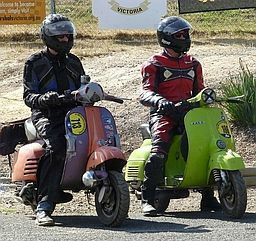 Modern Vespa : GS160 Speedometer, or not? 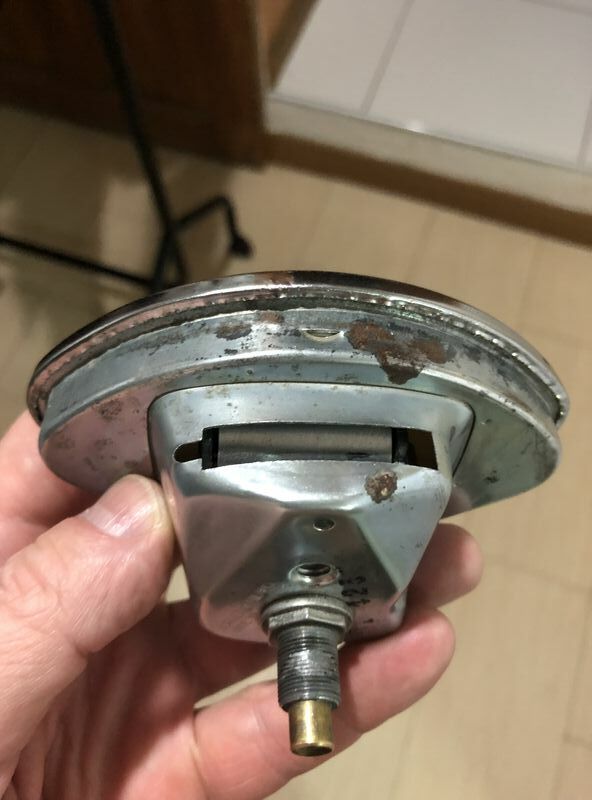 I have a recently bought a Vespa speedometer that the seller posted as a GS160 original speedometer. The face plate is in mph. 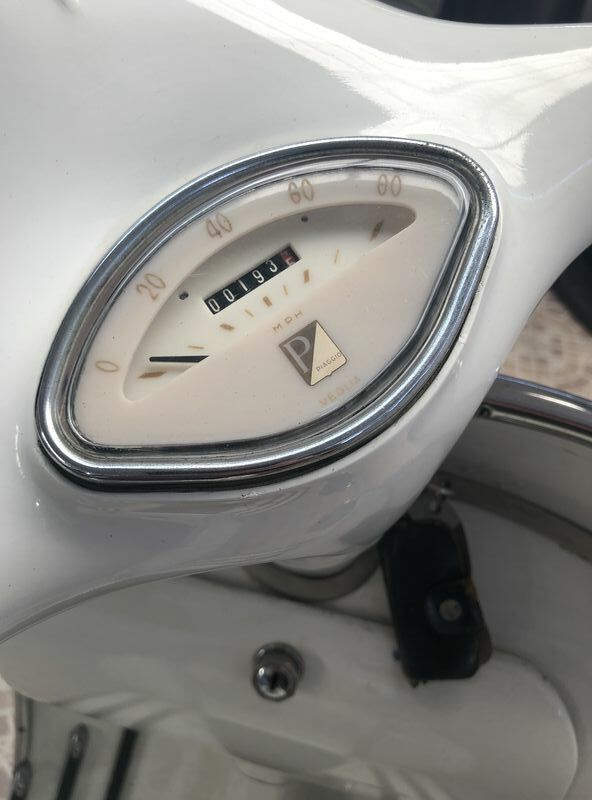 A knowledgeable, reliable person who knows about Vespa speedometers, pointed out to me that the speedometer I have is definitely a VBB and not a GS160. This is due to the face plate being 60 mph. 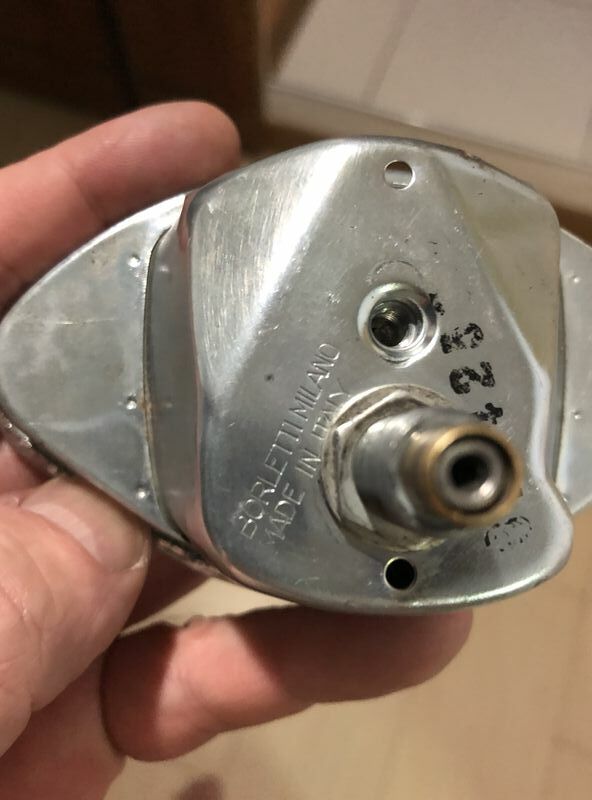 I do notice, however, that a small diameter GS160 cable fits correctly into the back of the threaded cable hole and will move the needle when turned. He claims the GS160 was 80 mph. 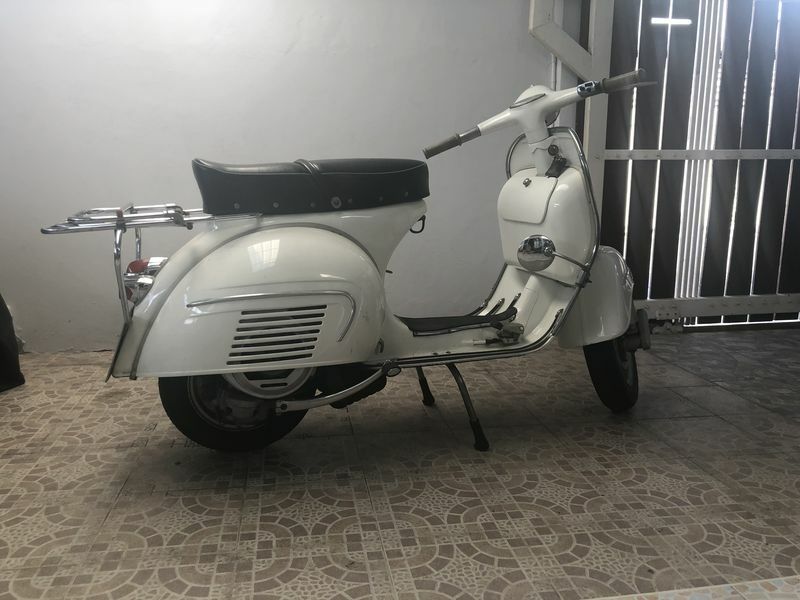 I asked the seller about this and he is adamant that it came out of a 1962 GS160 and that the top speed for this year model was 62 mph. 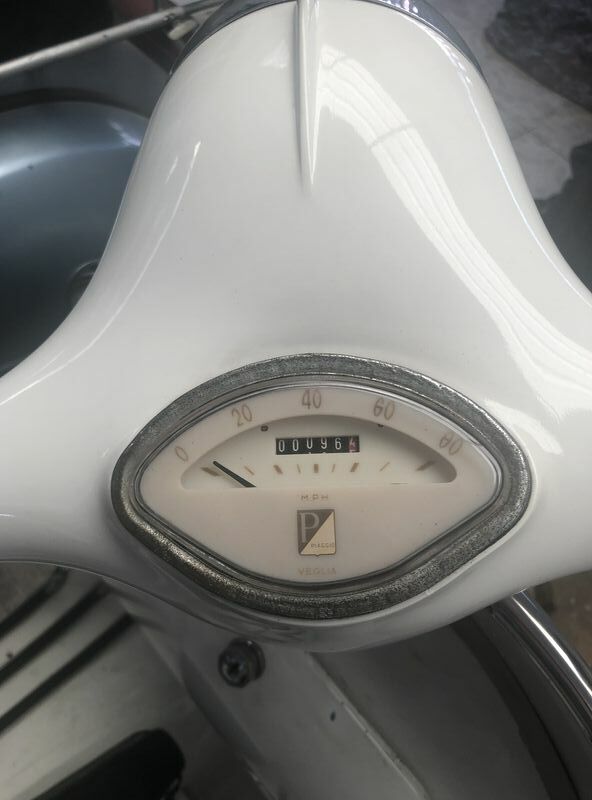 I don't dispute the top speed being 62 mph, but I would like to confirm if any GS160 bikes ever came with a speedometer plate showing 60 mph. I can't find any photos on the web. They are all either 80 mph or 120 kph. If anyone has a GS160 with a 60 mph speedometer or knows something definitive, I'd appreciate it. It's not a blame game, I just want to know so I can either keep it or sell it. 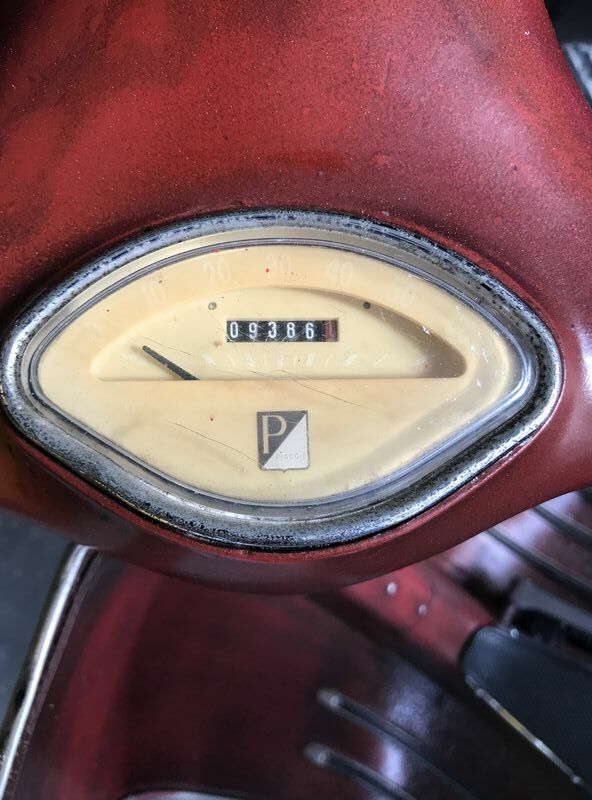 I don't know that I have all of the answer your looking for but that is the exact speedometer that is in my 1963 VBB, I purchased the scooter in rough shape so I doubt it was replaced prior to me and from the looks of it being so faded Im guessing it's the original. Its difficult to see in the photo but it is a 60 MPH speedo. That's what I was afraid of. It's my fault for just reading the vendor's ad and not thinking about the face plate numbers. Caveat emptor. 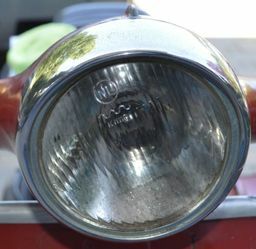 It might be a case of the vendor not intentionally deceiving and me just not paying enough attention to details. 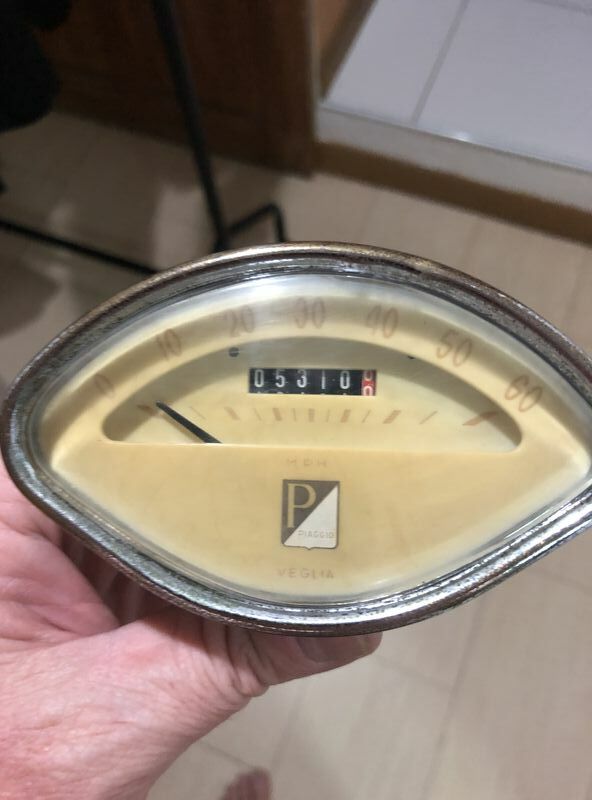 Unless it's some kind of one-off oddity that Piaggio did with the GS160 for a year, I'm pretty sure now I'm stuck with a VBB speedometer. 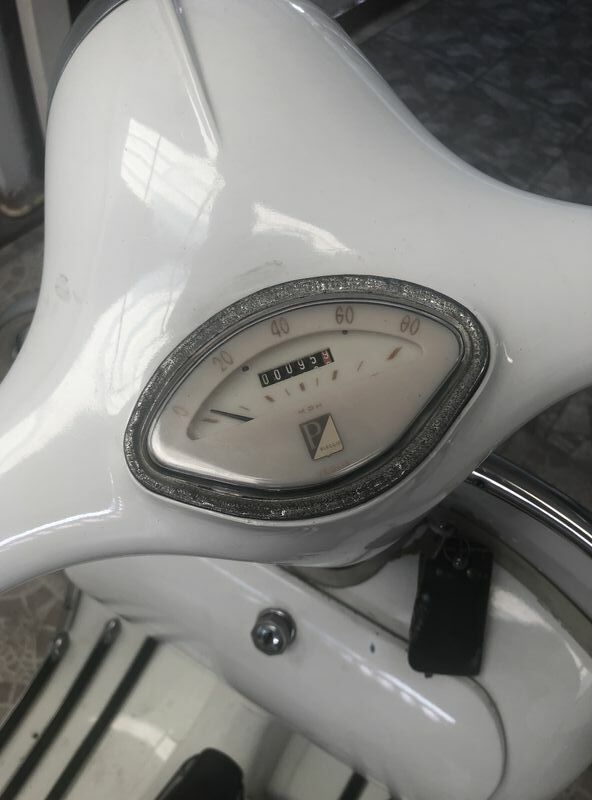 I'm having Steve Burdette (Speedo King) rebuild the internals, so if anyone wants to buy a nicely restored VBB speedometer, let me know and we can make a deal. 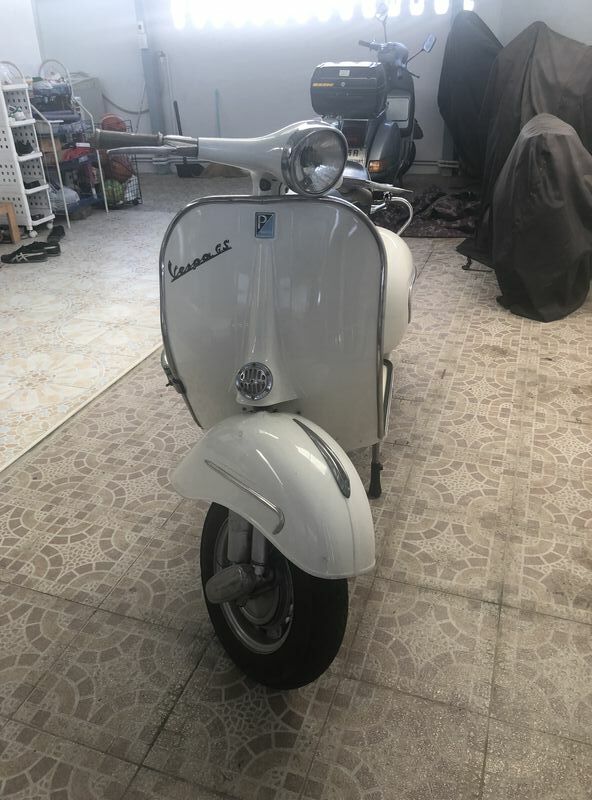 Here's one for sale http://www.scootermercato.com/Scooter-Parts/Used-Parts/GRNGS-6. 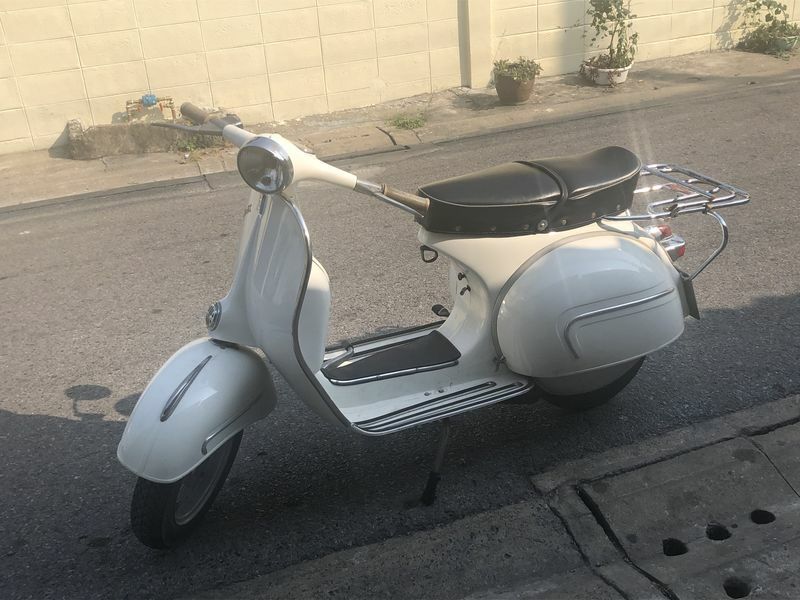 If working I would install as is but maybe you can ask Scooter Mercato (Dave) to send it to Speedo King to restore. Ask Speedo King if he would trade or give credit for the VBB speedo for service on the GS160 speedo??????? Well that settles that argument. I definitely know what it is supposed to look like now. Thanks for that link. Based on the bezel, it looks to me that someone has opened up the speedo. It s possible they replaced the mechanism to work with GS cable. If I recall, When I replaced the speedometer cable on the VBB I had to get the small end cable. I can look further if you really want to know. My VBA speedo goes to 120kmh (80mph). I’m pretty sure it’s original too. The bikes completely unmolested. No, that's ok. Speedometer cables are usually trouble, so when they work, it's best to leave them alone. 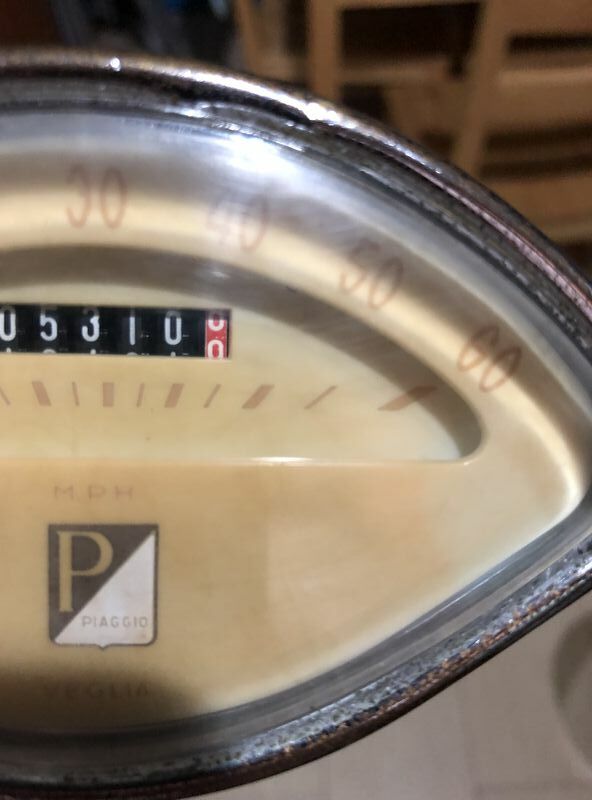 I'm convinced now that what I have is not a GS160 speedometer, but most likely a VBB speedometer. I just want to thank you very much for that link to David's website, Scooter Mercato. 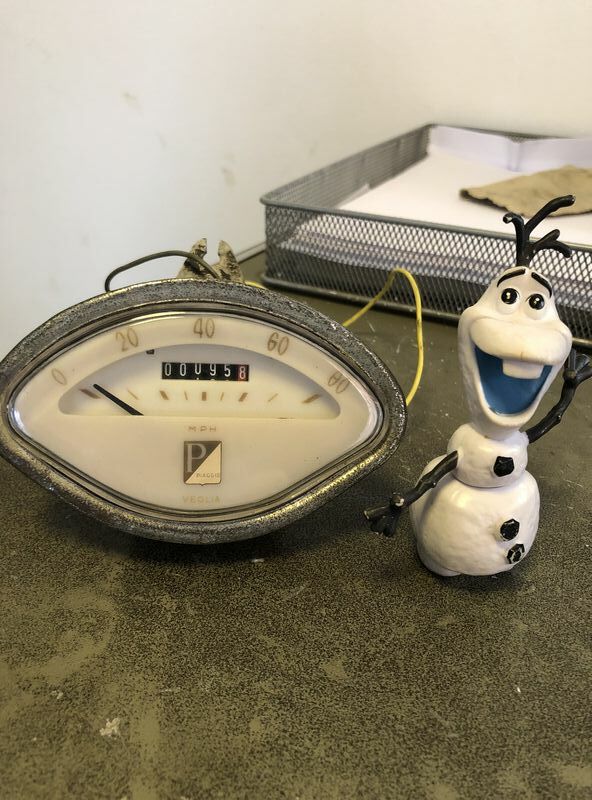 I went to his site and found the speedometer. I had never ordered from his business before, so I set up an account and paid for it. Now I understand why so many people on here rave about Dave. Firstly, he was very nice and helpful. Next, he gave me a hefty discount on tracked priority shipping without me even asking. When I ordered it, I was expecting that it would need work. It arrived today in the post in beautiful condition. It works flawlessly. He even threw in a free fridge magnet. Best of all, it's the real deal, an original, 80 mph GS160 US model speedometer. I'd also like to thank Steve Burdette for setting me straight on what is and what isn't. I feel like an Oscar winner making a speech. Here it is. All done. This was the last part that I needed to complete it after many years of building and tinkering. After the test ride, the new speedo works perfectly. Thanks Mr. Ginch. It's my "South East Asian Bodge". Thanks man. It took a lot of effort, time, and money. I've had it for years, but I've only recently really dialed it in to make it reliable and fun to ride.